The Frinkiac is what the Internet was made for. The Frinkiac is a thing of pure beauty. A combination search engine + meme creator that can dissect the entirety of the Simpsons catalog, frame by frame. If you’ve lived most of your life quoting The Simpsons as I have, it’s nothing short of a miracle. This must be what it feels like when a deaf person finally gets those implants and can hear for the first time. Tech is the new status indicator. If this isn’t a sign of “nerd” being cool and mainstream, I don’t know what is. Not over a movie studio getting hacked. This is so awesome. 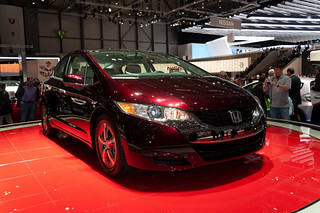 Well done Honda. You still have the issue of the bottle but the product, the story, the execution, are all fantastic. All you have to do now is bring the FCX Clarity to the US. And help us build a network of hydrogen filling stations. 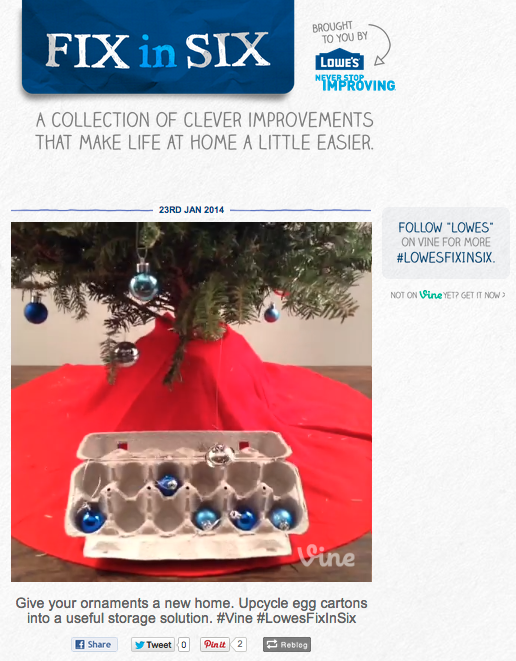 Awesome use of Vine by Lowe’s. In this game, one player wears Oculus Rift, the others do not. The guy wearing OR can see the bomb and interact with it, with tools. The other players have bomb diffusing manuals. Without seeing the bomb, and relying only on the first player’s description they have to talk him through disarming the bomb before it explodes.